Ok guys, this video is going to blow your mind just a little bit. It was shot from the International Space Station, and shows some incredible time lapse footage of the earth, as seen from space. It's just awe inspiring. But here's the really crazy part: there's a way that you can get involved with the ISS, and send your very own science experiment there — on board a NASA rocket. And you're about to find out how. If this video inspires you to get involved with space, then there's this great project that you should know about. It's called the Student Spaceflight Experiments Program, and it takes student projects into space onboard an actual NASA rocket. Watch the video below to see how the program works. You can also read about an upcoming space mission here. And let us know your thoughts in the comments section below. 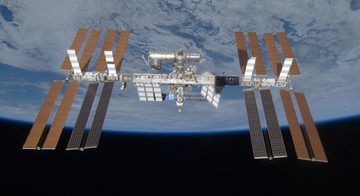 Would you think about applying to this program, and sending your own experiment to the International Space Station?